Money market accounts don’t pay a fixed interest rate. That’s because the interest rate is based on the yield of the government and/or corporate bonds held by the money market fund. These funds buy and sell short-term bonds with maturities that are usually 90 days or less. Consequently, the fund’s holdings are constantly changing and so is the interest rate. Usually money market rates are updated and interest is calculated and added to the account balance on a weekly basis. 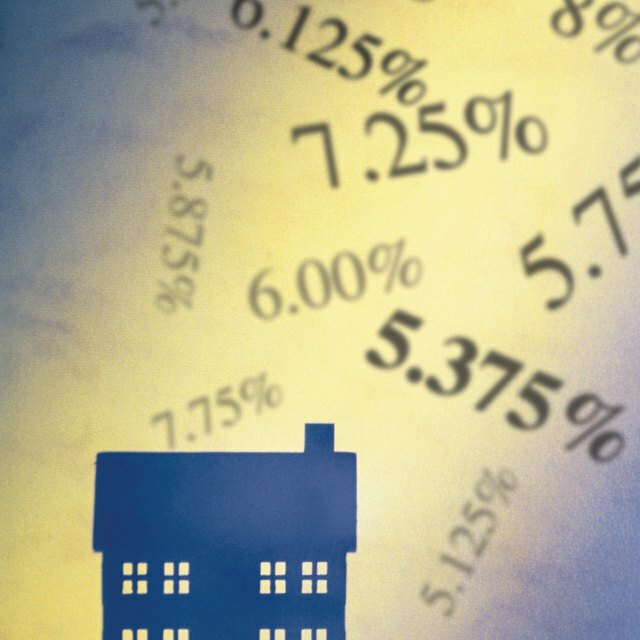 Learn how interest rates work for money market accounts. Each week (for most money market accounts), the fund sets an interest rate. Because the rate is variable, you must calculate interest on a money market account on a week-by-week basis. The interest rate is always expressed as an annual rate, so the first step to calculate interest on a money market account is to divide the annual rate by 52 (the number of weeks in a year) to find the interest percentage that will be paid for the week. For example, if the rate for the week is 5.20 percent, divide 5.20 by 52, which is equal to 0.10 percent. Determine the average balance in the money market account. If there are no deposits or withdrawals, this is the ending balance from the previous week (which becomes the starting balance for the current week). If you make a deposit, this increases the average balance in the account by the amount deposited multiplied by the percentage of the week the money is in the account. For example, if you deposit $100 and the money is in the money market account for 4 of the 7 days of the week (57 percent), the average balance increases 57 percent of $100, or $57. Calculate the effect of withdrawals on the average balance. The easiest way to do this is to multiply the amount of the withdrawal by the percentage of time the money was no longer in the account. For example, if you withdraw $140 from the account two days before the week ends, the money is not in the account for two days, or about 28 percent of the time. Multiply 28 percent by $140 to find how much the withdrawal reduces the average balance (the answer is $40). Add the results from increases in the average balance due to deposits (from Step 2) to the starting balance. Subtract the decreases resulting from withdrawals (from Step 3). You now have the average balance in the account for the week. For example, if your starting balance was $1,000 and you add the $57 from Step 2 and subtract the $40 from Step 3, you get an average balance of $1,017. Calculate interest on a money market account using the weekly interest percentage (from Step 1) and the average balance (from Step 4). Multiply the average balance by the weekly percentage to find the amount of interest. Using our previous examples, multiply 0.10 percent by $1,017, which comes out to $1.017 (round off to $1.02). The account has earned $1.02 in interest for the week. Finish up by calculating your ending balance for the week. Take the starting balance, add the total of all deposits, subtract all withdrawals and then add in the interest earned. Using our example, this is $1,000 plus $100 (deposits) minus $140 (withdrawals) plus interest ($1.02) for an ending balance of $961.02 (which will also be the starting balance for the next week).